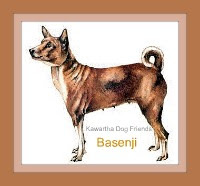 Kawartha Dog Sitter Blog: Free Waterproof Dog Coat Pattern! Free Waterproof Dog Coat Pattern! 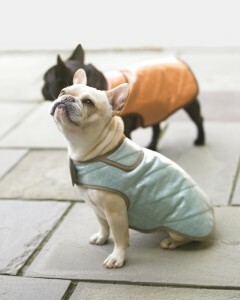 Martha Stewart Waterproof Dog Coat Pattern! It’s a rainy day,and it got me thinking about how rain or shine,dogs need to go outside. So I was pleased to find this Free dog coat pattern by Martha Stewart. Martha posted this waaay back in 2007. Don’t her canine pals look cute? Would you happen to know how I can find the pattern? There wasn't on link on that page! :( It's so cute I need to make one! Hmm.. that's odd, I'm sure there was a link to the pattern when I blogged this. I'll check the site again. The links are tricky to spot,but they're there. There are 3 templates:top,underside,and strap. Coated linen lends a sheen to these coats and also makes them water-resistant. A fleece fabric lining makes them warm. The coats are sized for small dogs, about 13 inches in length from neck to tail. The coats shown here are blue with gray trim and orange with brown trim. They're both lined in brown fleece. Use the following templates to cut out linen and fleece:top, underside, and strap. Thank you so much! When I look for things I tend to miss them, such is my life! ha ha. I can't wait to make this. Can't wait to see your creation! Please let us know how it turns out!